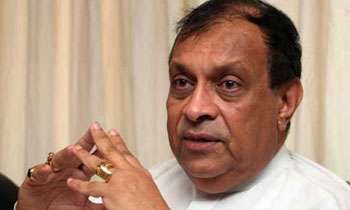 Speaker Karu Jayasuriya said yesterday that senior journalist Keith Noyahr’s life was saved because of his intervention when Keith was abducted and he is prepared any moment to give a statement on this incident. The speaker said that the CID has informed him that they need to record a statement from him over the alleged abduction of journalist Keith Noyahr. He said that a date would be given to the CID today (16) for this purpose. Karu Jayasuriya had been the Minister of Public Administration at the time of the incident and he had been the first person to have informed the then President Mahinda Rajapaksa about the abduction of Keith Noyahr. The CID had informed Karu Jayasuriya that they need to obtain a statement on how he had come to know of this abduction and several other matters connected with it. GOOD - even Maha Raja (MR) should be questioned - whom he (MR) contacted and the trail should be followed and finally the abductors identified. AND then they should spill the beans and say who gave the orders, . Karu - we expect you not to retract - a pandora's box has been opened, thanks to you - we will see how truthful will MR be - now that he is implicated. Please tell the truth and be honest, enough of State Criminality and do not state part of the picture so that your close friend(s) are covered. If you are a true Buddhist, you will do that, otherwise you will be like your friends in Parliament, living to sell Buddhism, Racism and religious intolerance to survive. Amidst all the mistakes and mess-ups by this government, some positive things too are happening. However, depends on the final outcome of all these investigations. Waiting patiently. So punish the who responsible now. That way couldn't save some many others? As allwaystraitirsirisena will block this investigation.same like he did for mahinda,gita,basil,weerawansa,namal,and tve list go on. CID or courts must question the one ordered to abduct Keith. In Sri Lanka they take the the people into custody on reverse gear.The one who has ordered to kill him is delivering lectures about the future economy. Has he changed his portfolio now? Hon. Speaker, by your revelations in this case the true perpetrators will be highlighted. Further your honesty will be remembered.